Das Best Western Eunice ist ideal in Eunice Stadtzentrum zu finden. Erleben Sie ein schöner Aufenthalt in der Nähe von alle Sehenswurdigkeiten. Bestpreisgarantie und exklusive Angebote. Beim Betreten des Hotels werden Sie herzlich von unserem freundlichen Empfangspersonal empfangen. Treffen Sie sich mit Freunden und Familie in unserem komfortablen Foyer. Jeden Morgen werden Sie mit einem kostenlosen kompletten Frühstück begrüßt. Willkommen im Best Western Eunice in der Heimatstadt der Louisiana State University of Eunice. Dieses neu renovierte Hotel bietet eine vielfältige Ausstattung in bester Lage am Highway. Das Hotel liegt im Zentrum von Eunice und bietet Gästen freundlichen Gästeservice, komfortable Unterkünfte und ein unschlagbares Preis-Leistungs-Verhältnis. Die geräumigen und schön eingerichteten Gästezimmer in diesem modernen Hotel sind ausgestattet mit 32"- und 39"-LCD-Flachbildfernsehern, Betten mit extra gepolsterter Auflage, Mikrokühlschrank, Mikrowelle und kostenlosem drahtlosem Internet (Wi-Fi). Gäste erhalten jeden Morgen ein kostenloses warmes Frühstück und können sich anschließend im Swimmingpool (im Freien) entspannen. Die geschäftige Stadt Eunice feiert seine Geschichte und französische Kultur und nennt sich selbst die Prärie-Cajun-Hauptstadt der Welt. Regionale Sehenswürdigkeiten wie das Liberty Center, die Cajun Music Hall of Fame und das Prairie Acadian Cultural Center sind von hier günstig zu erreichen. Wenn Sie die Stadt erkunden und dabei berühmte Cajun-Musiker erleben möchten, empfiehlt sich ein Besuch im Savoy Music Center oder KBON Studio 101. 1 FM. Entspannen Sie sich dann im Eunice Country Club, einem Paradies für Golfer, oder erkunden Sie den Chicot State Park, den größten State Park von Louisiana mit fast 2600 Hektar Fläche!Für Reisende, die beruflich unterwegs sind, liegt das Hotel in der Nähe der Innenstadt von Eunice, des medizinischen Zentrums und von verschiedenen Unternehmen. Geschäftsreisende schätzen auch den kostenlosen Druck- und Faxdienst in unserem Business Center. Das Hotel ist auch weniger als 20 Minuten von der Interstate 49 (I-49) und der Interstate 10 (I-10) und nur eine 35-minütige Autofahrt von Lafayette, Louisiana, entfernt. Unser Hotel bietet jeden Komfort von daheim – ob für einen Langzeitaufenthalt oder für kürzere Zeit. Unbegrenzte Parkmöglichkeiten für Lastwagen und Wohnmobile bieten reichlich Platz für Fahrzeuge aller Art. In der hoteleigenen Gartenlaube können Gäste die umliegende Natur genießen. Das Best Western Eunice bietet Ihnen eine faszinierende Geschichte, berühmte Musik, gutes Essen und vor allem erstklassigen Service und eine günstige Lage. Very pleased with reception staff friendliness and cooperation. The location on a busy US highway can't be helped. Breakfast was good. The room was very clean and well cared for before the second night. THANK YOU!! We stayed 2 nights, and were satisfied with our stay. Unfortunately, the only rooms that were left were smoking, but we made do. Room and bathroom were clean and most amenities seemed to work. We had the AC on the lowest setting, so that when we got back from Mardi Gras it would be nice and cold. It felt barely 72 and humid when we returned later that night though. Other than that, the stay was great. Friendly front counter staff. "Great for what you pay"
Room was very clean, breakfast was great, internet was quick. Easy to find and close to everything. Bed was super comfortable and the girls at the front desk and housekeeping were very friendly and helpful. Great little hotel. "So clean and homey "
I had the best stay at Best Western it was so clean. I think a woman named Kristy was my cleaner. My room was so clean it smelled great with little dust. I felt at home as soon as I stepped foot in my room. Great Job Kristy and Best Western. My stay was amazing thanks. Mandy thank you for your support and business! We appreciate your candid feedback and glad you enjoyed our facilities. My family and I stayed for the weekend cause my kids wanted to swim in there pool! It was nice and super clean, no bugs!! It is also in a great location with Dairy Queen and Dcs on the other side! Our housekeeper, Holly, was super helpful and kind!! Overall it was a great mini vacay!! Great job to all staff.... keep up the good work! Thank you for completing the survey about your stay. Glad we could help you enjoy your stay. Most importantly the kids were happy and enjoyed themselves. I love this place, check in with Ashley was very fast and convenient she was professional and nice with a big smile. She had my keys already made and waiting for me. When I got to the room it felt very nice coming in from the heat very cool. Rooms was clean and smelled great. Breakfast was nice and a very big selection. Coffee was very delicious. We had a great time in the pool, all staff was very accomadating. The hotel is located in the center of town very convenient. Thank you for completing the survey about your stay with us. Your business is important to us. Glad you had a great stay at our property your feedback helps us improve our property for you and all guest. Please let us know if there is anything we could do to assist you in your next stay. Hope to see you again soon. I stayed there for 3 days and it was very nice!! It's a older property but very well taken care of! The breakfast was hot and a big selection, it's in the perfect location and I would recommend this place to all my friends and I'll definitely be back when I come to Eunice. One of the housekeepers, Kristy, was very helpful, anytime I asked for something she ran to to take care of it! There needs to be more of her in the world... u can tell she loves her job! Thank you for completing the survey regarding your recent stay at our property. Your business is very important to us and we value your feedback. By telling us what you liked about your stay and how we can improve, you are helping us deliver a superior experience for you and other guests in the future. We hope you will come back and see us again soon. Thank you again for taking the time to complete the survey. We appreciate your loyalty to our brand. "Best Hotel Ever!!!! Head Housekeeper Kristy was very helpful and needs a raise ASAP!!!" Room was cool and clean!! I would definitely return!! This was one of the best experiences and Kristy helped answer all of my questions! The left side is quiet if u want a quiet stay! Upstairs is the quieter place to be! Ashley was very professional and helpful. Thank you. I will be returning soon, also recommending my mom using y'all for her 50th class reunion at the end of August.Recommending y'all for other family functions coming through out the. Everett, thank you for the kind words, look forward to your next visit and if you need any additional assistance feel free to give us a call. As has been noted in other reviews, this hotel is showing it's age. 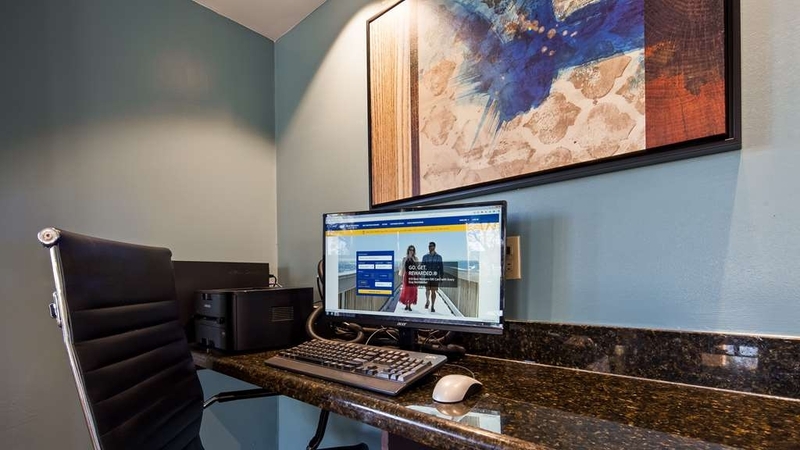 It has many amenities going for it, Wi-Fi, continental breakfast, pool, adequate parking, convenience, but the biggest problem is that it is not quite clean. If housekeeping staff would pay attention to detail, the overall experience would improve considerably. Soap stains were present on the tub, grout needed cleaning in the bathroom, small scraps of paper on the bathroom floor, that sort of thing that shows a lack of attention. On a more positive side, the staff are friendly and southern town polite. Every staff member we interacted with went out of their way to assist us and ensure we were satisfied with the minor problems we encountered. One word of caution, if you have a first floor room, be prepared to enjoy the walking and scraping noises from the room upstairs. David, thank you for your suggestions on improvements. We will review and make necessary adjustments to make sure they are corrected for hopefully another improved stay with us. We hope you give us a chance to prove ourselves. Many of our staff at housekeeping are new to their job and we are working on improving their skill set. I stayed here for the first time to visit family. As soon as we pulled up to check in we couldn't help but notice how clean the whole area was. Once walking to front desk we were greeted with a smile by the front desk clerk. She was very friendly and outgoing. It's was a very fast check in. She explained about breakfast and express check out. We were very satisfied upon entering our room. It was very very clean, it smelt very fresh. We got a good night sleep got up next morning went down for breakfast and it was fresh and hot. We will definitely be staying here again. 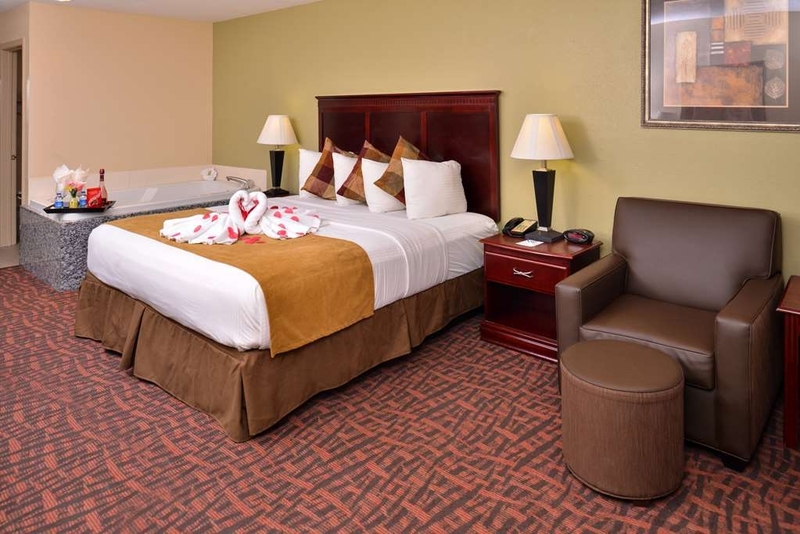 Thank you for staying with us at Best Western Eunice. Staff will be thrilled to see their hard work on display and we will continue improving ourselves. Our breakfast is one of kind and we hope you will join us soon for more! First time staying here it is a nice hotel, very clean, rooms smell fresh. The staff was wonderful, helpful and very friendly. Anything we needed and they could help with they did so. Made me and my family feel welcomed and comfortable. Also has a great variety of things for breakfast. Breakfast was also fresh and delicious. Would defiently stay here again. Thank you for reviewing and staying at Best Western Eunice. We thank you for the comments and glad you had a wonderful stay. Glad staff was able to accommodate your needs and found the facility to outstanding! "Thank you Matthew-2 week business trip"
I came into town for what I thought was going to be a week of work. I ended up staying for two weeks instead. The staff was more than happy to keep extending my stay for me. I had't been on my job for more than a couple of days when I ran into a problem. I' not very computer savvy, although i have to use one for my work. Not being from the area, I didn't know if I could even find any technical support. When I arrived at the hotel that evening I went straight to the front desk for help. Instead of pointing me in the direction of the local GeekSquad, Matthew offered his assistance. In between his other duties and checking with other guests, he found the time to troubleshoot my computer. He worked off and on for two hours and got that thing back up and running. He told me at the end that I didn't owe him anything and that it was no problem. I brought him some dinner the next evening to show my thanks. He told me that I didn't have to do that. My only reply was that he didn't have to do what he did, but he did it. Thank you for reviewing Best Western Eunice. We appreciate your candid feedback as we strive for greatness and superior service. Staff will be thrilled to see your efforts on display with your review. Stayed here in 2017. Went back to Eunice for Mardi Gras 2018 and stayed here again. The motel was great each time. The staff are wonderful. Friendly people who answered my questions and gave me information about the area. Hot breakfast each morning was very nice. The rooms are clean and comfortable. Looking forward to next years visit. Thank you for your kind words and repeat efforts to stay with us at Best Western Eunice. We are truly appreciative of your stays and glad we are doing well to treat you right! Hope you come back sooner than Mardi Gras 2019! "Updated, clean property close to everything, great staff"
A reservation snafu almost created a catastrophe. Helpful, caring staff solved the problems, high rating. Rooms are clean and recently updated. Breakfast was fine, no noise. Really can't say anything but praise for the staff. Thank you for reviewing Best Western Eunice. We are very happy to see staff adjusted the error and made your stay wonderful. We hope to see you soon. "Clean room, great staff, great breakfast bar"
In town for 50th High School Reunion. Got AARP rate...less than $100/nite taxes included. My room was ground floor. It was clean, and serviced daily. Manager is Eunice native who moved back home from . FL. Entire staff was friendly and welcoming. Their free breakfast is worth about $13.00 compared to local table service restaurants. 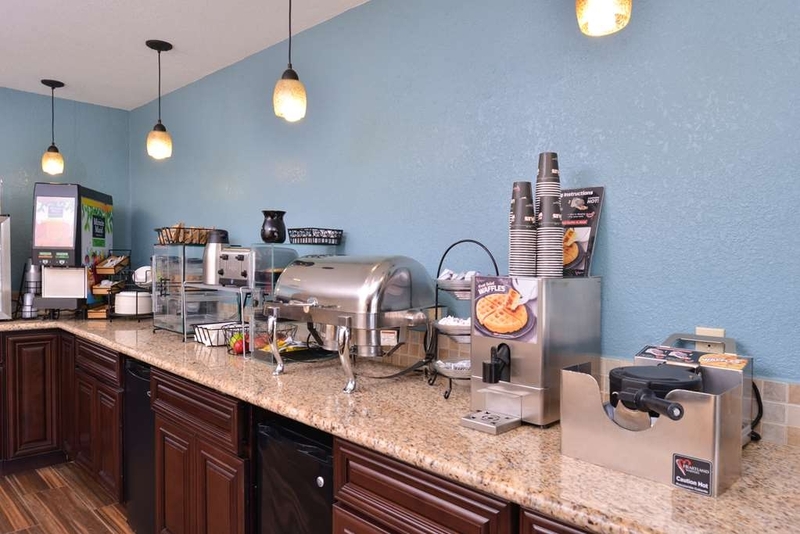 The breakfast bar choices include scrambled eggs and either sausage or bacon, self made larhe waffles, yogurt, cereal and either whole or low fat milk, Community coffee, orange juice, syrup and jellies. All self-serve and unlimited portions. Cable TV with local and national news and entertainment. Coffee pot in room. Only odd thing was a large jetted tub next to the comfortable king sized bed. Very fast and free wifi, usb phone port in clock by bed, and additional a/c outlets in base of desk lamp for laptops and ipads, etc. Very comfortable high back desk chair. Lots of shopping and dining nearby. Fresh boudin and cracklins available across the street and next corner to the east. Thank you for reviewing Best Western Eunice. 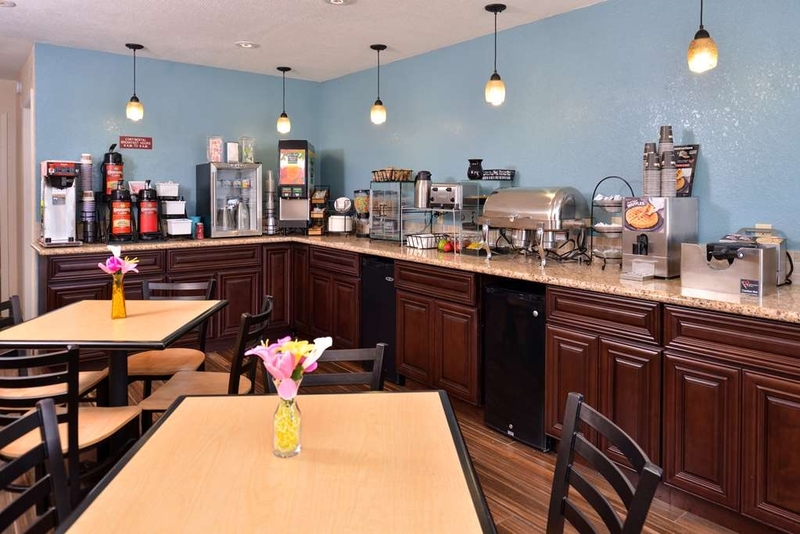 We are thankful you choose our property and enjoyed all of our amenities and breakfast! Your detailed review will help others choose our property and showcase what all we offer. Hope to see you back soon! Love staying at this place, very convenient and close to everything. The staff was great and very helpful. I woods definitely recommend this hotel to anyone visiting and need their privacy. Make sure to try out DC'S across the street. Thank you for reviewing Best Western Eunice. We appreciate your 5 star review and glad you found our staff and product perfect. We want you to continue supporting us, hope to see you soon! "Friendly but Not Quite Clean"
I was unable to book the room online, either through TripAdvisor or directly on the hotel's website. I think the hotel has only two rooms with Jacuzzis, one smoking and one not, and unlike last year, those rooms were not offered online this year. I had to call the hotel directly (from overseas at $2.50 per minute) for the reservation. The booking call was handled smoothly and professionally. We had room 110, the non-smoking Jacuzzi room. Somebody had smoked in the room, not recently, but there was enough lingering odor to be mildly unpleasant upon first entering the room. As a former smoker who quit in 2005, I am familiar with the odor, and my sense of smell has returned to its pre-smoking sensitivity. That smoker should have been charged for replacing the carpet and drapes, which should have been done. At around $148 per room night, all inclusive (the AAA rate), I felt the room cost almost twice what it was worth, especially in a small town. Maybe I'm just getting old and not staying in hotels often enough to be tuned in to inflation. As it turned out, my wife was not as interested in the Jacuzzi as I was, so if we stay here again, we won't get that room. My impression is the room was not vacuumed properly on a regular basis. We always remove our shoes indoors. A few times when there was some water on the floor by the lavatory or bathroom, my feet left dirty footprints. My wife kept a pair of flip-flops at the edge of the carpeted area for use in the lavatory and bathroom area. There was a dead fly on the floor near the toilet for our entire four day stay. Why didn't we bring these issues to the attention of the management? During our stay there was nothing that could be done about the leftover smoke aroma, as this was the only non-smoking Jacuzzi room in the hotel. The cleanliness issues were only minor annoyances; it's not my job to QC hotel housekeeping; and I'm notifying the management now. Enough negativity. Time for a more positive note. The room was pleasant and well furnished, with a stuffed chair and footstool, small desk with office type chair, and all the usual things you see on the website. Eating take-out meals in the room would have been better with a small dining table, but there wasn't room for anything like that, so we put plastic bags on the footstool and used it as our table, one of us on the big chair and the other on the office chair. I suppose we could have moved the little corner table and used that, but it didn't occur to us when we were hungry. The air conditioning and plumbing worked well. This kind of thing is basic, but since one review mentioned plumbing problems and another was happy with the A/C, I thought I would give credit where credit is due. The hot water was not too hot, maybe for liability reasons, so when I filled the Jacuzzi, it was all hot water. Unlike one of the reviewers, we enjoyed the breakfasts and encountered no problems with freshness. We usually ate near the middle of the breakfast hours, neither early nor late, and everything was fine. The staff monitored the buffet closely and promptly replenished anything that was getting short. Thursday, Friday, and Saturday mornings the buffet had scrambled eggs and a pretty good patty sausage. Sunday it was fried eggs and bacon. Mmmmm, bacon. For waffles there were chocolate chips and cinnamon available, along with butter and syrup. The coffee was Community, most excellent. In addition to the hot food, the buffet had all the usual things you would expect. Except there was no microwave to heat sweet rolls etc., unless I missed it, which is entirely possible. All in all, I have to say the breakfast buffet is one of the hotel's best features. One good thing about the location is the Dairy Queen next door. Another good thing is T-Boy's Specialty Meat Market across the street. We didn't go to the Mexican restaurant on the other side of the hotel from DQ. Not much else to say about location because Eunice is not that big. The staff were all very friendly and helpful. 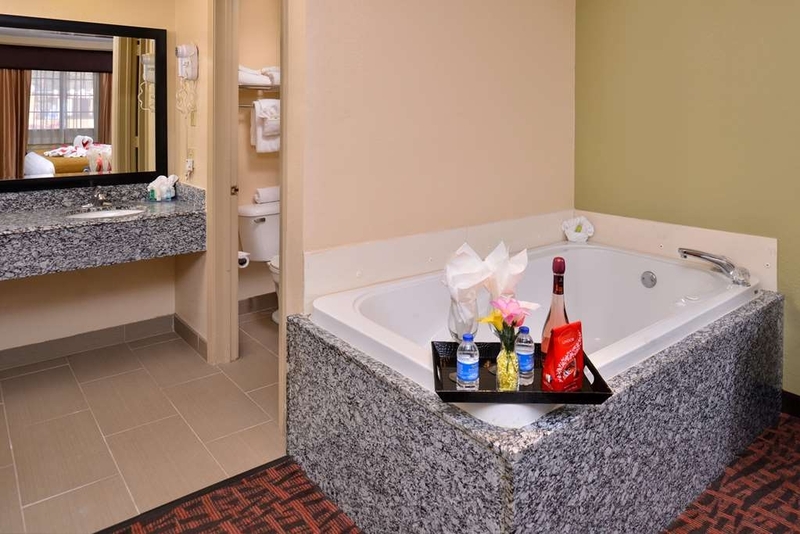 Having stayed here two years in a row, and finding that we didn't use the Jacuzzi enough to warrant the extra expense, for our next time in Eunice we will be doing some comparison shopping, but will include this place in the comparison. We are thank you for visiting our property, we hope you give us a second chance to improve on items and we are thankful for your very detailed review! We were on the last 3 legs of a 12 day road trip. Exhausted and had stayed at a real dump the night before, unknowing until we were already checked in. Sandra was so helpful and pleasant I just can't think of enough good words to describe the experience. The room was clean and comfy and we enjoyed the breakfast. We ate at the DC? or D and C restaurant almost across the street. Very good food. I would highly recommend this Best Western. Thanks again, Sandra for being so helpful. Thank you for reviewing Best Western Eunice. We are proud of our staff and her efforts to make you and your family feel at home. She will be thrilled to see your review on display! 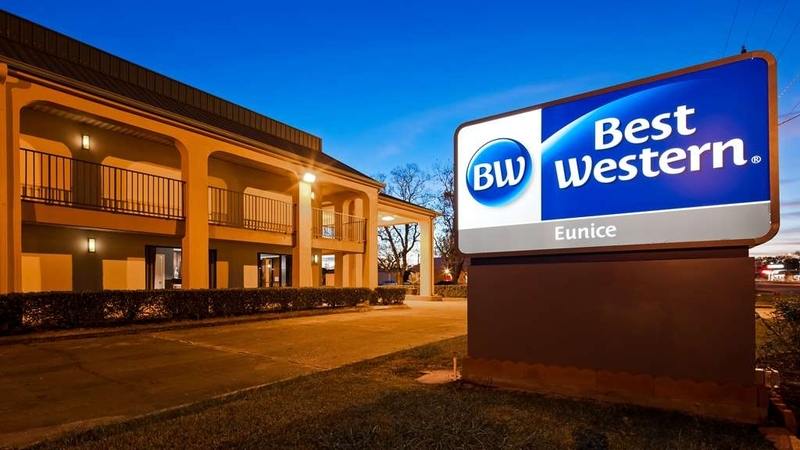 "Best Western Eunice was great"
Thank you for reviewing Best Western Eunice. We appreciate your feedback and hope to see you back soon! If you want to have to plunge your own toilet when it doesn't work, stay here. If you want leftover breakfast items, stay here. If you want to see hotel staff that dress like they just rolled out of bed...putting zero effort into how their appearance is, stay here. This place is a trainwreck to say the least. Effie, thank you for reviewing websites, we are deeply sorry for the encounters you've faced. We will review and correct the issues, we hope you give our property a second chance to prove ourselves. We hope the room itself was wonderful! Wonderful value and a very nice room. I would recommend this property to anyone visiting Eunice area. The hotel staff was so helpful and polite. Was clean and well kept. comfortable mattress & pillows. They let us check in early hours early. Thank you for reviewing Best Western Eunice. We are thrilled you enjoyed our facility and hope to see you soon! Jason, thank you for staying at Best Western Eunice. Glad all features of the hotel were what you expected and hope you join us soon for another round at our property! "Worst Best Western Experience Ever!" My husband and I stayed there for one night (3 days ago) on our 35 day trip. We had a horrible experience upon checking in only to enter our room to find a filthy, unsanitary and malfunctioning toilet that we had to clean ourselves because we were told there was no other room to move us to and the cleaning staff had left. And this was after standing waiting to check in for 35 minutes while the clerk completed her computer work! Eventually, the owner (who was watching remotely by camera) came to "snake" the toilet so that it was functional. When I spoke to the manager a few days later about the situation, she said she would only discount our room $25 because she "knew that nothing would make me happy". I still can't believe the experience ! I do want to mention Lena, the evening desk clerk who was not there for any of our check in fiasco, was shock d by what happened and tried to make up for it even at her own personal expense! This hotel manager and the other attendant should ask Lena how to empathize and de-escalate a customer service situation! I hope she is recognized for that. Janice, We are deeply sorry for the troubles you encountered at our property. 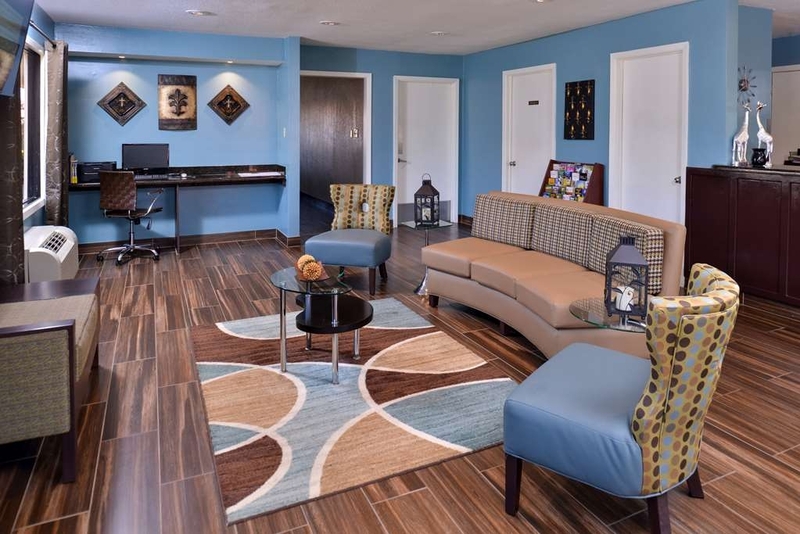 We always go above brand standards and give our guests the best we can offer - our guests do not clean their own rooms and after reviewing with staff they came to your room to clean and adjust any issues with the room since that is what the property must do. Your room was inspection by staff and owner before it was rented and verified upon your review. The assumptions of hotel monitoring actions can be inaccurate. Though we hope all your stays are wonderful, please call us directly with any concerns you have. Thank you again for staying with us. "Best Western Eunice Place to be..."
The stay was wonderful, everyone is inviting and we will be back and always stay at this property in Eunice. The beds are wonderful and wish we could sleep on them everyday! The breakfast had lots of food to eat. 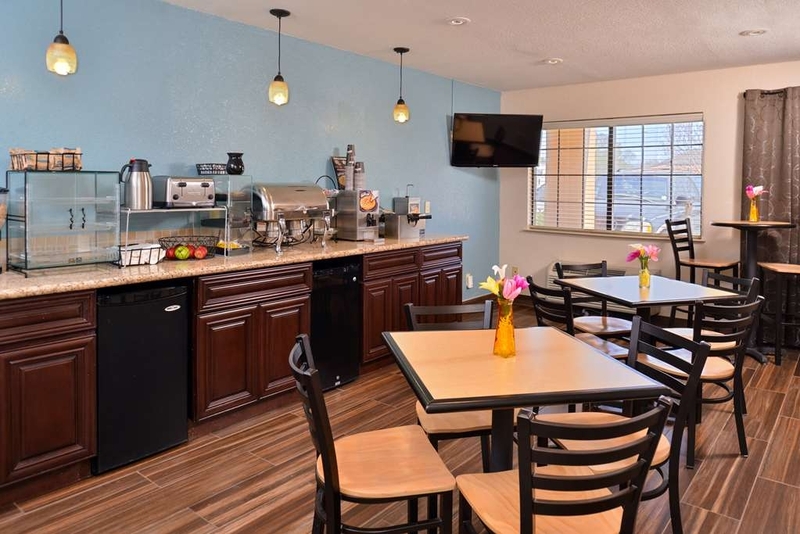 Thank you for staying at Best Western Eunice, where we promise to provide our guests with the best! We are thrilled you enjoyed our facility and hope to see you soon again! Overall stay was excellent, room was very clean, breakfast was great and staff was nice. Pool closes at 9:00pm, which is early. Breakfast was great! Updated and modern, the room is awesome and spacious. 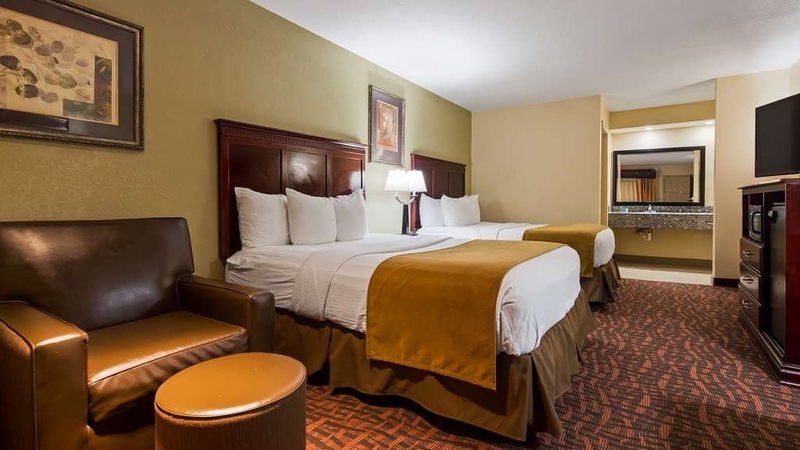 Diana, Thank you for reviewing Best Western Eunice. We are proud to see you enjoyed your stay. Hope to see you back soon! This hotel is okay, Our stay was noisy with motorcycles partying have the night. Didn't get much sleep. This hotel needs a upgrade in the rooms ,carpet was dirty. I requested a wake up call didn't get it. I am a Rewards member ,Maid knocked at door at 11am was told we could check out at 12pm. Thank you for reviewing Best Western Eunice! We are very appreciative of your stay. We recommend you address concerns at property and we can resolve them immediately. Hope you give us a second chance to prove ourselves. We were in Eunice for a prospect camp at LSUE. The staff was very friendly and helpful. The room was clean and well stocked. Our toilet had a few issues where it took forever to flush but eventually would on its own, kinda weird but I mentioned it to the front desk. If we had been there longer than two nights I would've used maintenance like the front desk suggested but it wasn't that big of a deal. Pool was clean. Continental breakfast was good. A/C worked great. Crystal, we hope your camp visit at LSUE went great! The campus has undergone a few changes to help make the university better for students. 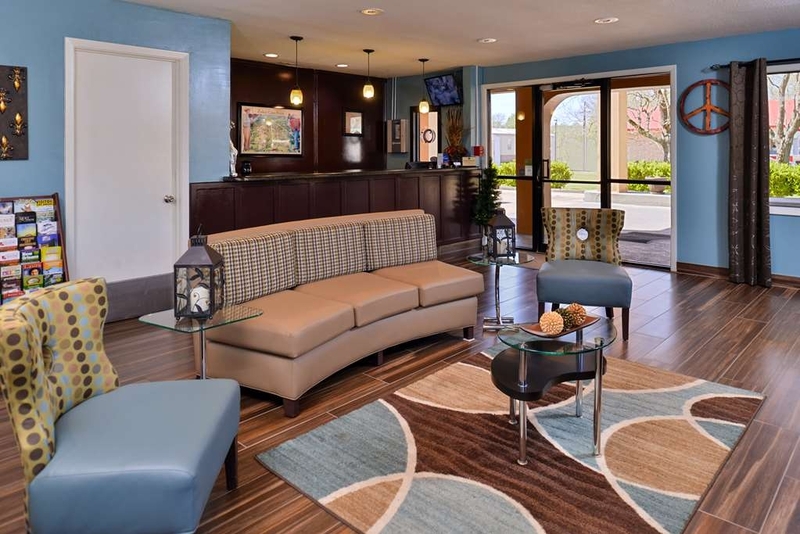 We hope to see you back at Best Western Eunice soon! We had a tour bus of over 40 people, and the staff here was incredibly friendly and helpful, taking care of all our needs. They even had hand-made welcome signs! And they made special trips to buy breakfast foods just for us. Michael, thank you for writing a wonderful review of our staff. They will be very appreciative of your kind words and to see their work on display by your wonderful review. We hope to see you soon! 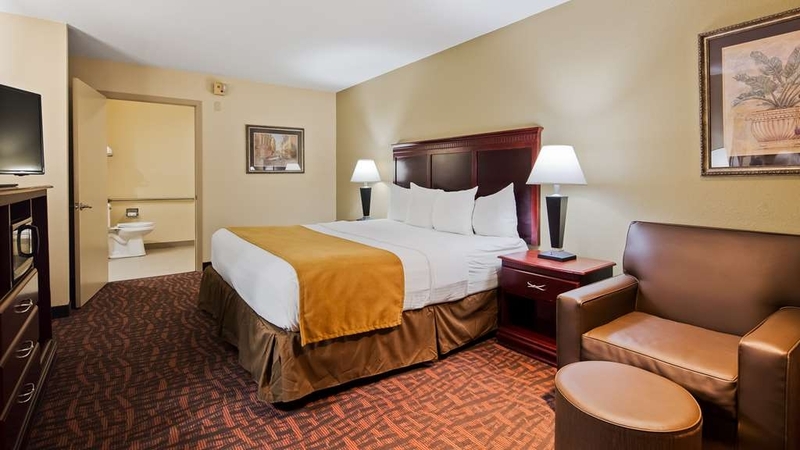 Shawanna, Thank you for reviewing Best Western Eunice. We are very thankful for all your kinds words, our staff will be glad to see your review! "Best Western in Eunice was a good stop. We were in Eunice for the Cajun Music"
Best Western is probably the best hotel in Eunice. The room and bath were very clean. The bath had a very nice shower head. Breakfast was good with a nice selection. All the people who worked there were very pleasant and helpful. We would stay there again if we are in Eunice. Troy, thank you for all your kind words and thrilled you enjoyed our shower heads and breakfast! Our staff will be proud to see their work on display with your review. Thank you again and please let us know if we can do anything for you in the future! 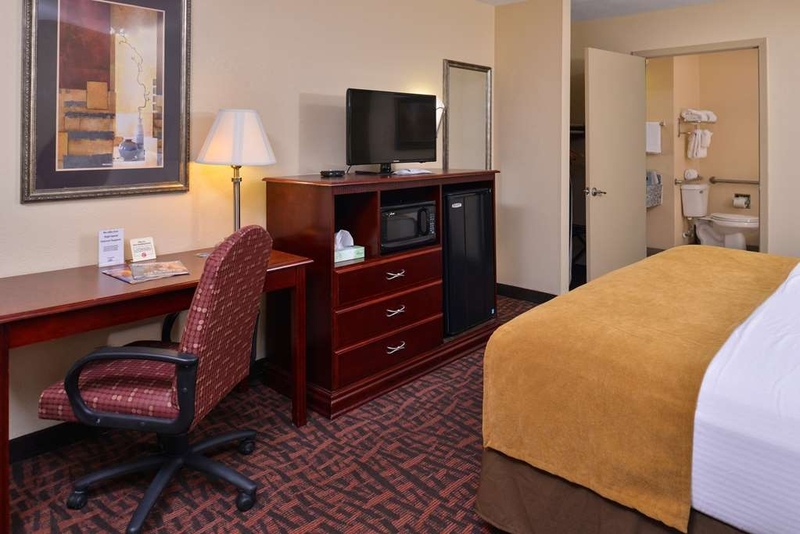 We travel frequently to this location and always stay at the Best Western. 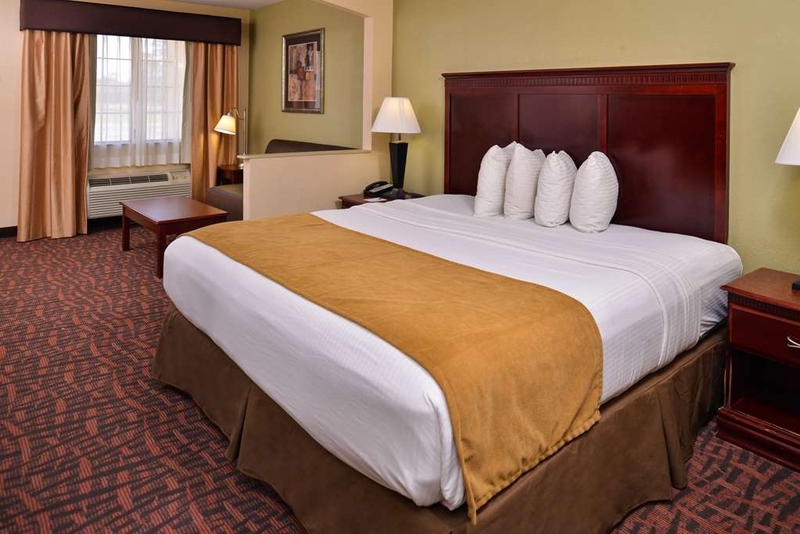 There are 2 other major hotel chains in the area but we've found BW to be the best value for the money. Would recommend the Best Western to any travelers in this area. Karen, we dearly thank you for all your stays and glad to be of assistance to you and your family while in Eunice and the surrounding areas. If you need any help, please feel free to call us directly! Not a bad stay. Room was noisy because of traffic just outside. Some problem with drains in sink and bath. Service was very good. We stayed for 5 days, but will not stay again for more than one night. Thank you for reviewing Best Western Eunice. We are happy to see you've stayed with us. Possibly having a future room located in another area of our property would make your night more quite. Please give us a second chance to prove ourselves. The room was clean and nice. The employees were all friendly and helpful. The breakfast was better than average. The only two downsides were that the rooms that we were in (two different times/rooms that week) smell of mold or must. Also, for me, I don't quite understand the high price (over $100). One night, we were the only customers and there were few people the other two nights. Overall, I would go there again. 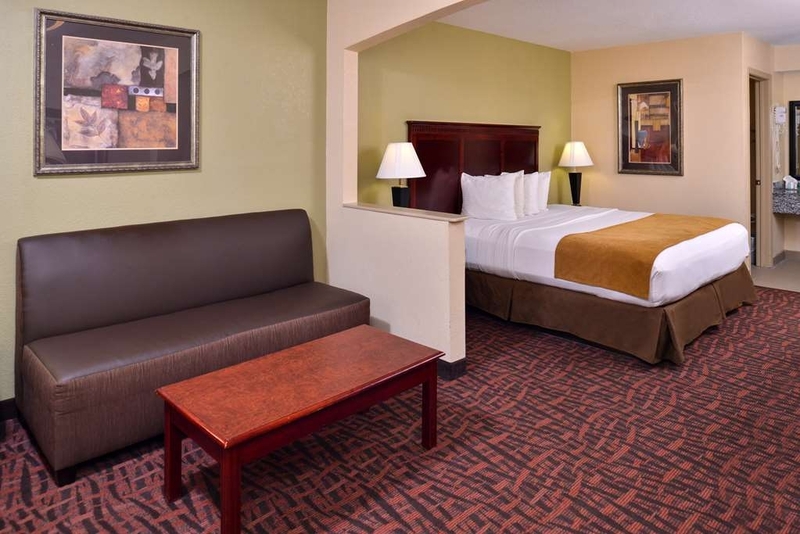 Clean, comfortable room and conveniently located for the purpose of our trip. There was a little mix up checking in and we walked into our room and were quite startled (as were they) to find others already in it. Clerk took some time to figure it out, but in the end, it was fine and we were given the room next door. Robin, We dearly appreciate you staying with us at Best Western Eunice. We hope to see you again soon. We wish for all of our guests to be 5 star, we apologize for the confuse on room re-location. Look forward to another visit with you and your family. 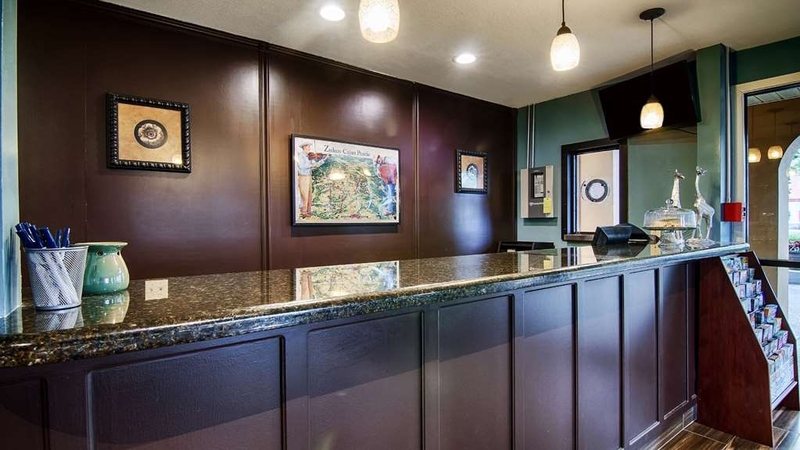 This Best Western did a fantastic job of showing us their property and the stay was perfect. Breakfast was great and everyone was very friendly. Place is clean and beds and pillows are amazing. Hotel was worth the drive. Room was well lit. Mark, appreciate your wonderful review for Best Western Eunice. 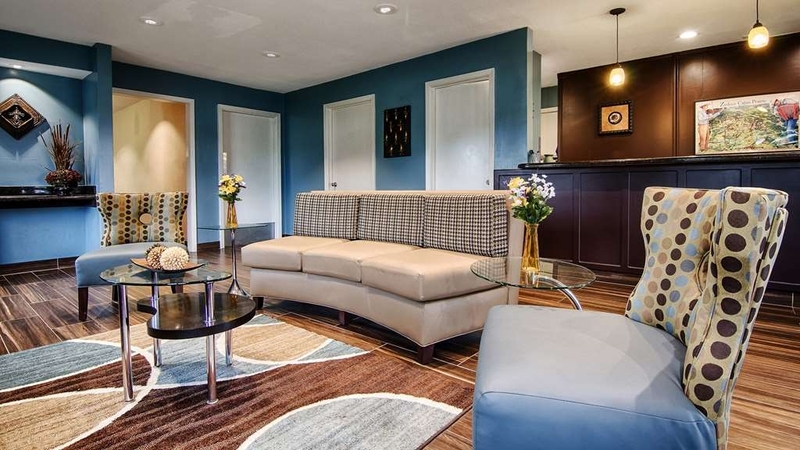 We try our best to make this property home away from home for all of our guests. It was a pleasure having you stay with us, if you need anything please feel free to contact us directly. Good breakfast with eggs and bacon Laundry in site. 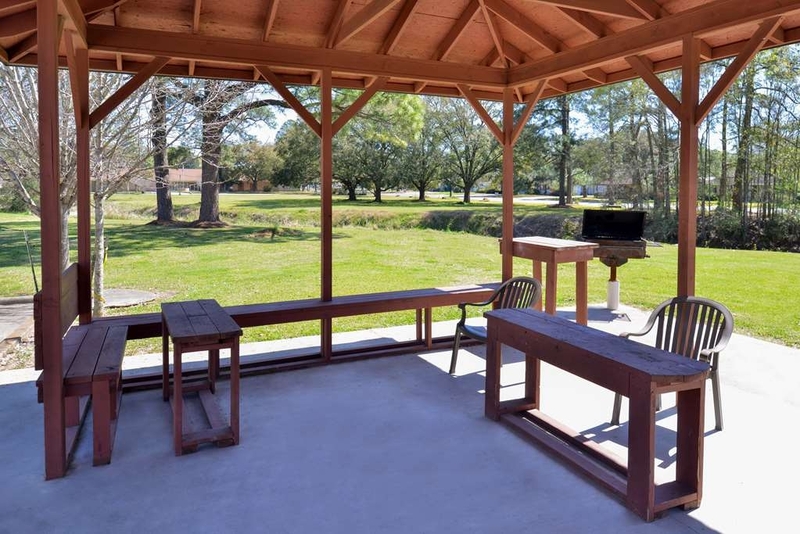 Convenient to all Cajun activities Close to restaurants. Friendly staff Rooms updated and no smell noticed. Swimming pool available although we did not use. Thank you so much for taking time out of your busy day to write those kind words. I am glad you enjoyed your stay with us. Hope to see you on your next trip into Eunice. Take care. I've stayed here twice. The rooms are clean but very musty. It's like there is 100% humidity in the room. Toilets are sluggish. Options for breakfast are very limited. On the plus side, this hotel is in a very convenient location and the staff is nice. If you don't need frills, this hotel is adequate, but if you are a demanding traveler, you will be disappointed. 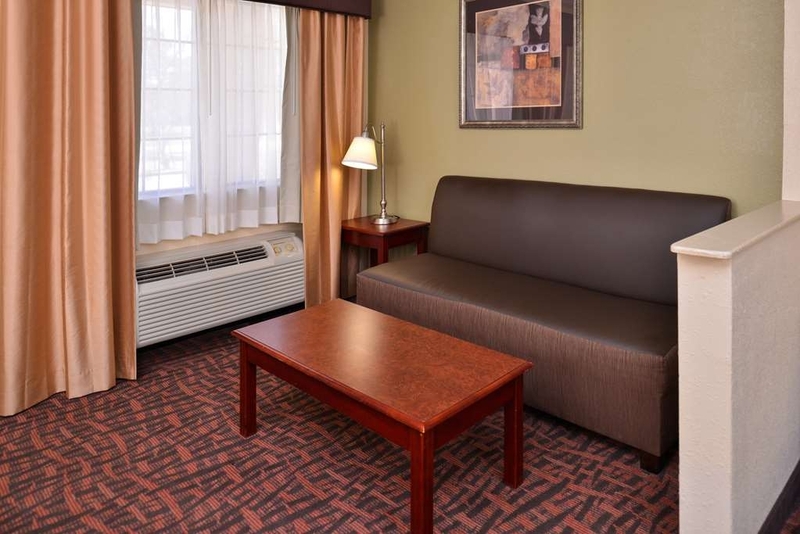 Donald, Thank you for reviewing Best Western Eunice. We are so happy you've stayed with us twice. We hope you continue your stays with us. Many times the summers in our area of Louisiana become very humid and the same air floats into the rooms, we will investigate into the issue you were facing with humidity. Please feel free to call us at 337-457-2800 with any additional comments. Stayed one weekend for a second honeymoon. Friendly, helpful staff. Couldn't open the room door after checking in because the strike plate was loose, missing a screw, but they quickly showed us the trick and fixed it the next day. Couldn't get the jacuzzi to work without asking for help. Aside from these minor problems, everything was fine and the stay was most pleasant. Good breakfast buffet variety including hot food and fresh waffles. A bit pricey for the Eunice market and for what they offer. Thank you for reviewing and staying at Best Western Eunice. We were thrilled to see you enjoyed our property! We hope your honeymoon was fanastic and for any else you may need please call us anytime 337-457-2800. 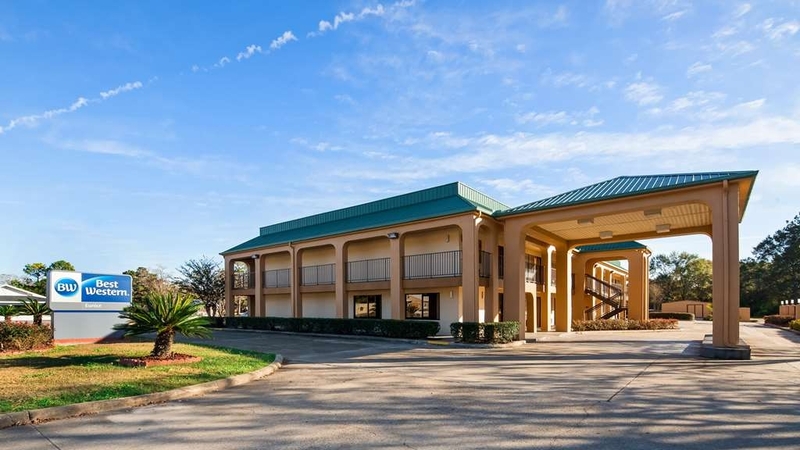 Stay at this Best Western when travelling to Eunice, LA to listen to Cajun music, etc. 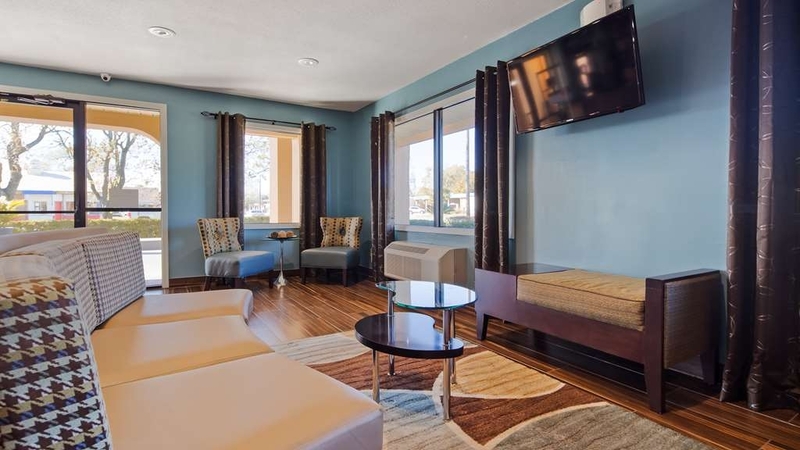 Friendly professional staff, clean rooms, centrally located. Usually pretty quiet but this time, the upstairs guests were noisy ALL NIGHT LONG! Needless to say, we didn't get much sleep, should have reported it but were afraid of retaliation. Great hotel for the price the staff was very friendly and helped a great deal after a bad experience at another hotel and had to swap to here. Staff helped me out with different things on 3 occasions was very pleased and will stay again if in the area!! We are thankful you choose our Inn as your preference and thank you for taking the time to review us as well. Please call us and let us know what we could have done better to receive a 5 star rating! Look forward to seeing you soon! 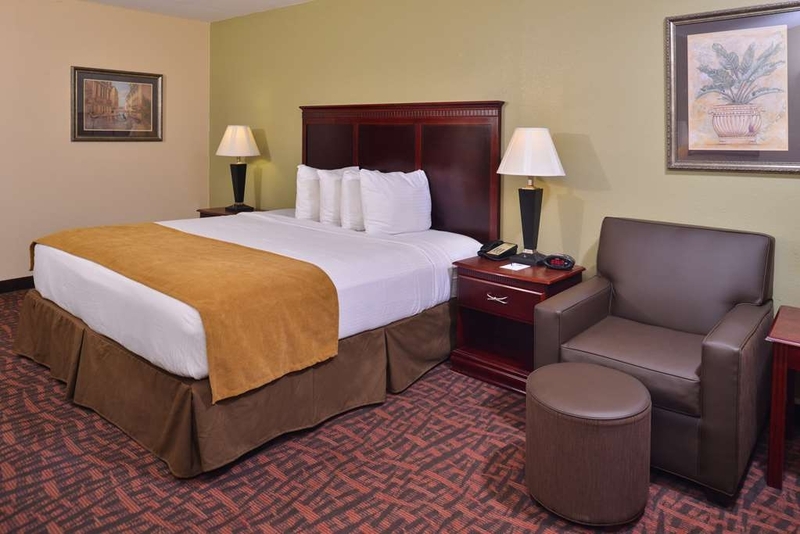 I plan to stay at Best Western whenever I visit my family in Eunice. The breakfast, cleanliness of the hotel, politeness of each staff member as well as the maintenance workers made my stay most pleasurable. Our room #207 was very clean. We had a king size bed and had a separate sofa for relaxation. Location was very good, located right next to Dairy Queen and DC Restaurant on one side and Hacienda Mexican Restaurant on the other side (all walking distance). Glad that the rooms are close to parking. Very nice large outdoor pool. - I didn't get the gals name at the front desk (7/3 p.m.), she was extremely sweet and went out of her way. I asked if she had any paper plates and cups; she gave us the items (we had ordered pizza and sodas). This Best Western location have a very helpful group of people that work here! We go to Eunice to visit relatives often, we will definitely book here when we do. 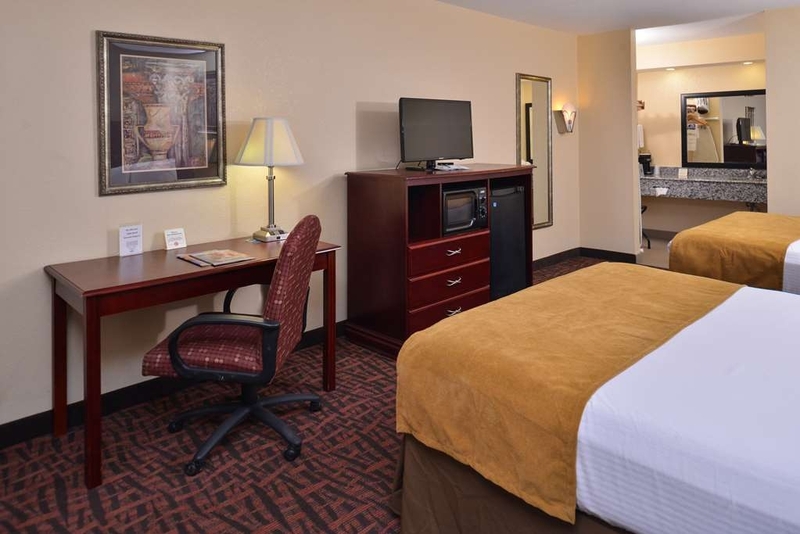 Charlotte, thank you for reviewing Best Western Eunice. We are thankful for your stay and glad you enjoyed all the amenities and features of the property. We are indeed in prime location sandwiched between several restaurants. Hope you enjoyed the pool in this wonderful weather. We are glad staff made you feel welcomed and catered to your needs. They will be thrilled to see their hard work on display by your review. We hope to see you soon. Please feel free to call us at anytime for future bookings! This location is becoming a bit worn and dated. The mattress was comfortable, but I did not like the trendy little square pillows. I could not get my neck in a comfortable position. I should remember to pack my own pillow, I guess. The room seemed clean enough. The TV and wifi worked. Breakfast was served, but was the typical buffet breakfast for Best Western. We did not eat it. There is not much to choose from, hotel-wise- in this little town. We stay here occasionally when visiting family. Thank you for reviewing Best Western Eunice on Tripadvisor. We appreciate your feedback and glad you enjoyed free unlimited internet usage and our flat screen televisions. Unfortunately, the pillows are required by Best Western as their preferred standard pillows. Entire hotel has been renovated recently with brand new carpets, drapes, chairs and much more, though we will evaluate your comments and hope you stay with us again as you have in the past. "Nice place to rest up"
Made on line reservations at a lower rate on my way to a 5 K race. Was pleasantly surprised by the hotel and pool. Even got a room with a jacuzzi which was definitely a bonus treat. Staff was friendly and helpful. Recommend this motel to anyone in this part of the south. Have stayed in the newer Hotel in Eunice, a terrible experience. Tried Best Western this trip and could not have been better! All staff very polite and helpful, starting at check-in desk. Great room, most comfortable beds ever. Easy internet (free access), nicely furnished. Good breakfast rounded out an excellent stay. 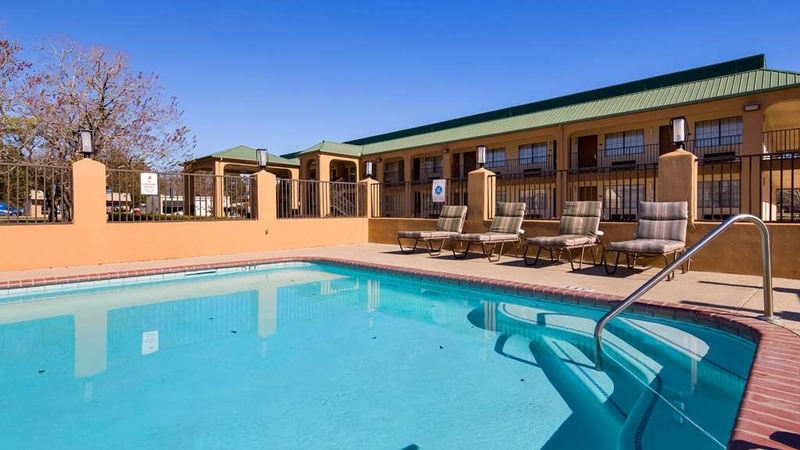 I will be in Eunice several (6-9) times this year, Best Western is now my "go to place". Thanks, Best Western! The manager made it very easy as my wife is disable, Brian made our stay as it was our home. We were arrived for breakfast a few minutes before it was to close, instead he put out fresh eggs and bacon and made us feel right at home. The cleaning staff were great and friendly. We will return again. Marco, Thank you for reviewing Best Western Eunice. Brian and housekeeping staff will be proud to see their service on display by your comments. We appreciate your kindness and wish to see you soon! 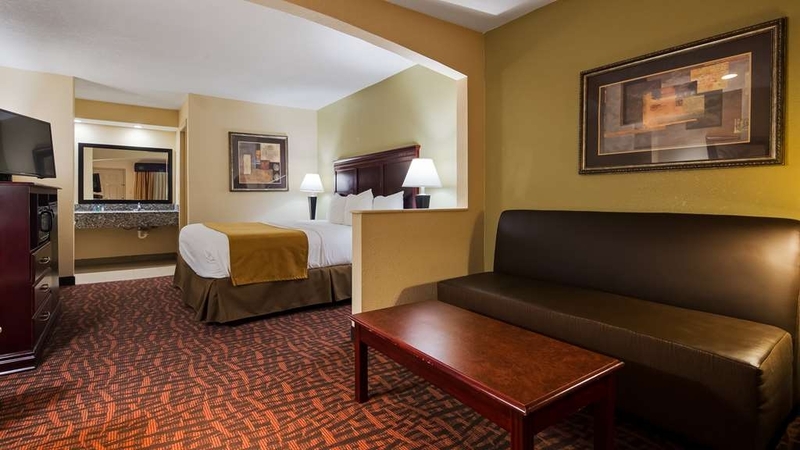 I contacted Best Western Eunice in order to get rates and reserve a room for my wife while she is there on business. I spoke with "Mr. GARY" and had a great experience. He was very helpful and courteous with setting up a reservation for a room for my wife. I explained the situation and he was very understanding. Mr. Gary was very friendly, and took care of things very quickly, and made it a wonderful experience. If I could give them a better rating than 5-excellent on here I would. Kudos to this place, and I HIGHLY RECOMMEND them for their professionalism and friendliness. Thank you for reviewing Best Western Eunice. We are delighted to here that Mr. Gary was able to provide excellent service to you. We hope she enjoys her stay, if you need anything please feel free to call us at 337-457-2800. 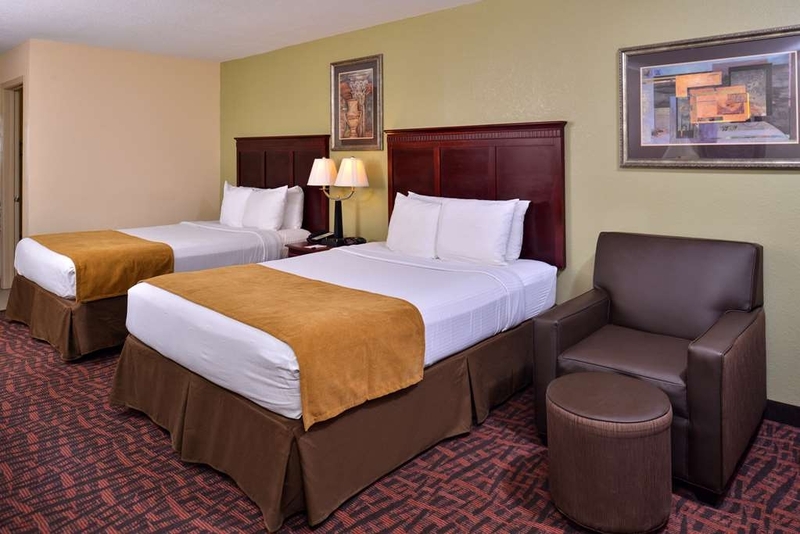 Taisha, Thank you for reviewing Best Western Eunice. We enjoyed your stay with us and hope to see you soon. Staff will be thrilled to hear their personal touches on display with your review. Please feel free to contact us directly anytime at 337-457-2800. I enjoyed my stay at Best Western....as my dog did as well. Best Western was the only pet friendly hotel in the town. And....thank them for that! The hotel is conveniently located. The lobby was decorated for Christmas which made the place very homey. I would stay there again in a heart beat. Joseph, Thank you for staying with us at Best Western Eunice. We are thrilled you enjoyed your stay and present a wonderful review of it! 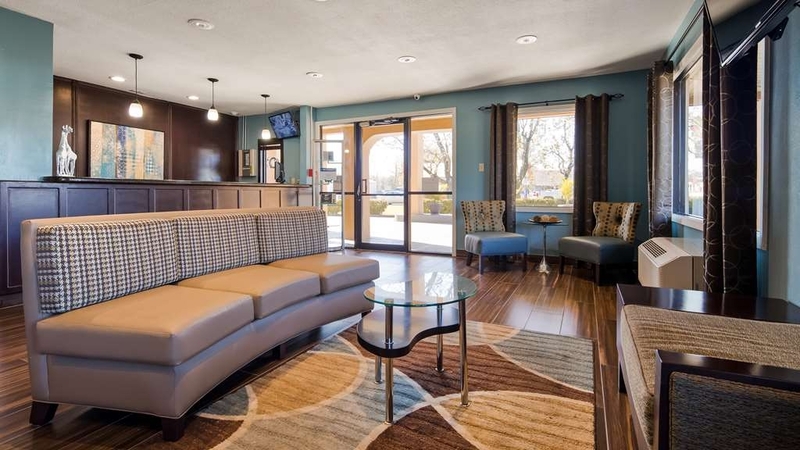 We hope your stay was a home away from home feeling for you! Welcome you back soon. We would definitely stay in this hotel again. Staff was very friendly and helpful. Hotel was very clean. My only complaint is that the pillows were not very comfortable on the beds. Other than that, excellent hotel and location. Thank you for reviewing Best Western Eunice. We are thrilled and honored by your comments. Hope to see you visiting cajun country soon again! We are sorry pillows were not up-to-par, however they are pillows as per Best Western brand standards, though we will reaccess. The room was very clean but the bathroom was getting pretty beat up-at least it was clean. The staff were very friendly. It's in a great location next to some great restaurants. Breakfast was good. Would stay there again happily. 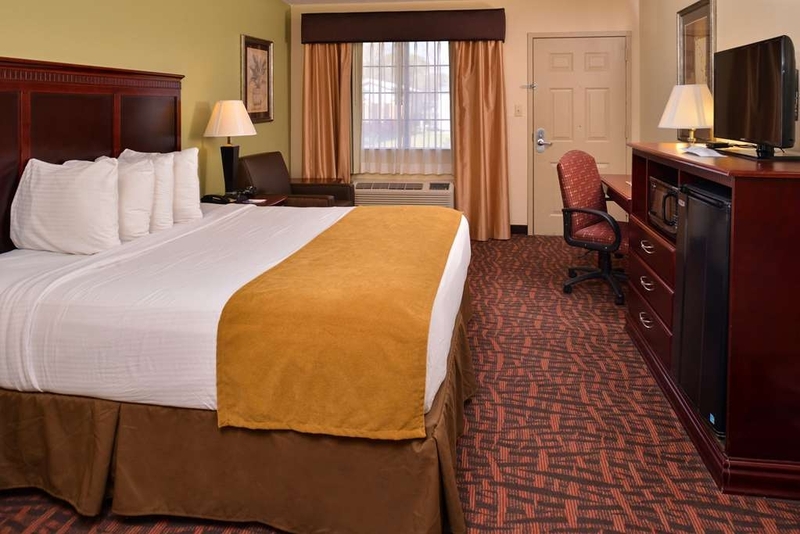 Thank you for reviewing us at Best Western Eunice. We appreciate your kind words on breakfast and guest rooms. We hope to see you soon! Good free breakfast, staff should be rewarded on their efforts. Best beds and wonderful service in recent stays. Room and facilities was clean and comfortable. Hotel was helpful in giving us directions in the area. Thank you for reviewing Best Western Eunice and enjoying our property. We will pass on all your wonderful comments to our staff. We hope to see you soon! "Middle of the road hotel"
Older hotel that could use some updating. Overall it was "average" across the board. What you would expect from a smaller hotel in a small town. The continental breakfast could have been a little better. I was on a business trip to Eunice and got myself the Best Western, Eunice booked. 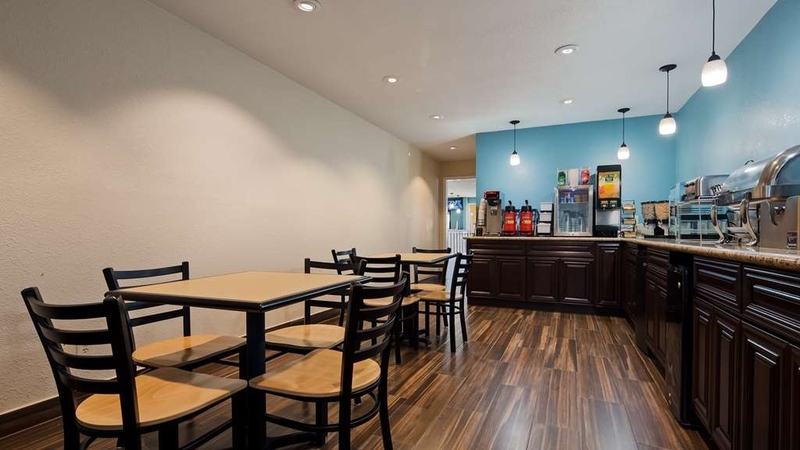 The hotel is a standard Best Western property. It is open - I mean you open the door and the you see your car parked outside. I liked that, got some fresh air in the room this way. B'Fast was complimentary but very very basic. Good wi-fi speed. The Owners of the Hotel were very nice and very helpful. Overall I will come back to the Hotel again. Nitin, Thank you for your wonderful review and we appreciate all your stays with us. We look forward to your next stay! 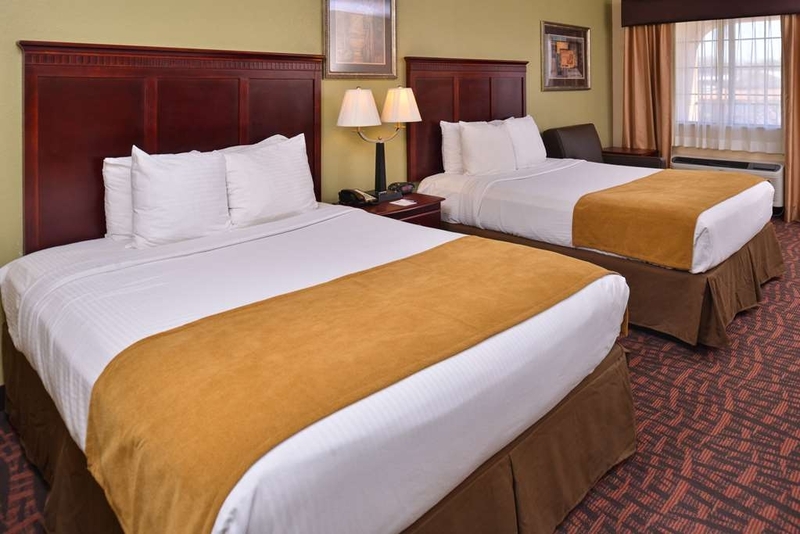 Remember if you need any assistance in your lodging needs we are available 24/7 at 337-457-2800. 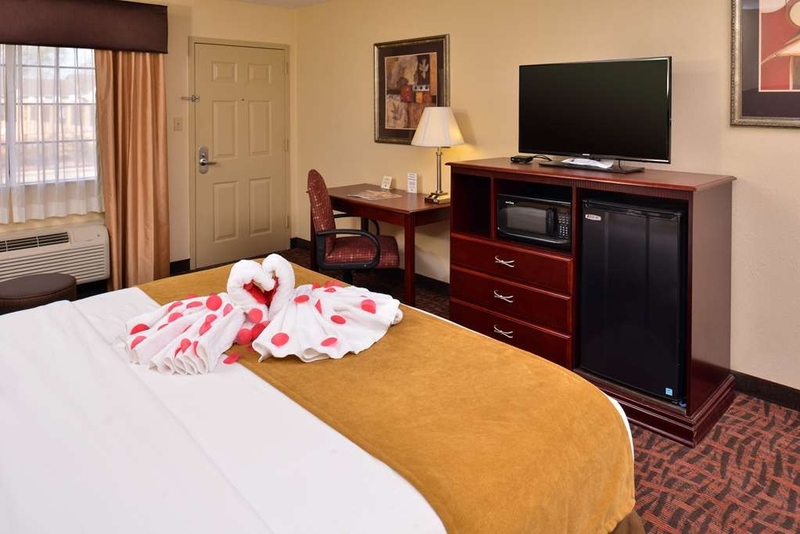 "Relaxation at Eunice Best Western"
This is a great place to stay at very friendly staff with clean rooms. Its home away from home. Service is great they were quick to check me in and had everything in room we needed. Beds were very comfortable better than at home. Thank you for writing such a wonderful review for Best Western Eunice. We appreciate your responses and hope to see the same experience at our property when you return. Please feel free to email us at [email protected] if you need anything! The hotel room was perfect very comfortable and clean. Easy to access and surrounding had plenty of eating places to attend if you need a meal. Overall experience was excellent. Will be using this hotel again in the future. Rodney, We thank you for choosing to stay with us as you have many options in Eunice. 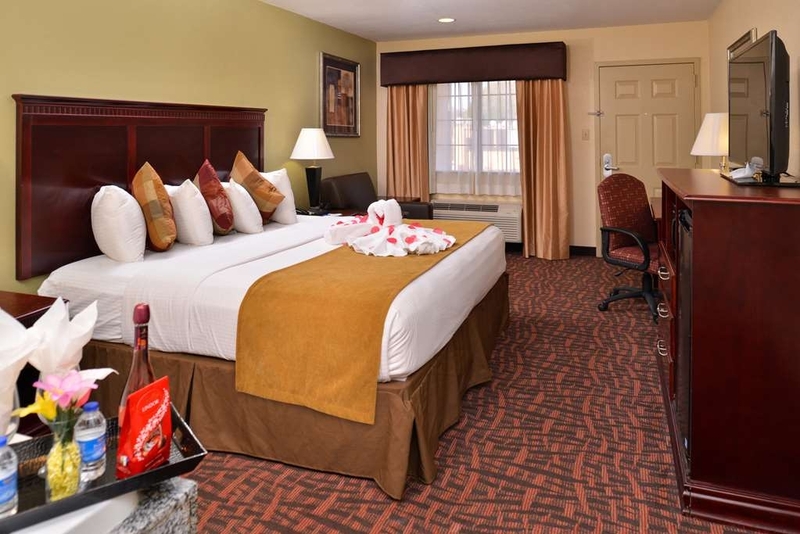 Best Western Eunice appreciates your recommendations and suggestions to future guests. Staff will be thrilled to see your comments on the experiences you received. If you need any assistance at our property or another, please feel free to call us anytime at 337-457-2800!